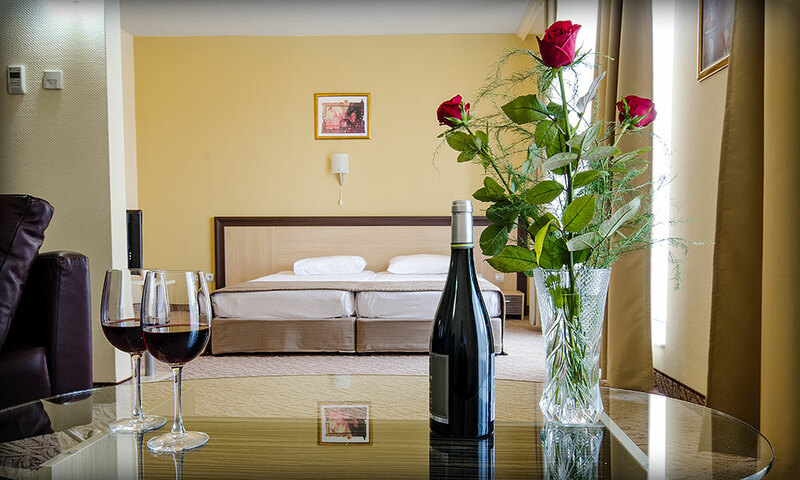 Located in the center of Plovdiv, Alliance hotel is just at the Plovdiv Railway Station, а five-minute walk away form the centre and less than a ten-minute drive from the Plovdiv International Fair. The Old Town of Plovdiv is just at a 15-minute walk from the hotel. Don't miss its unique Roman aquaduct, Roman stadium and the ancient Roman theatre which is active as a cultural centre today more than ever. Alliance Hotel is the typical modern 4-star business hotel, with electronically controlled access, centrally air-conditioned and offering very spacious rooms - above 30 sq.m. each, a high-standart conference hall is also available in the hotel. 24-h guarded underground car-parking: be sure that your vehicle is safe under the roof-free. Free Wi-Fi and cable Internet in each room and suite and all around the hotel. Special room for disabled people, equipped according to all standards and a wheel-chair.